Buckwheat is due for a serious rebranding effort. Despite the name, it has absolutely no relation to wheat and contains no gluten. In fact it’s not a grain at all, but a pseudo-cereal—a category which includes things like quinoa, amaranth, and chia. Buckwheat’s misleading name comes from an old Dutch word “boecweit” which means beech wheat. This is a reference to the seed’s grain-like qualities and its resemblance to the beech tree seed. Yet buckwheat has no relation to beech either. Buckwheat is actually related to the herbs rhubarb and sorrel, and has been a favorite food and medicine crop in Southeast Asia for at least eight thousand years. Today it is cultivated around the globe. Buckwheat has a starchy taste with a mild nuttiness that mixes well with both sweet and savory flavors. It also has fragrant flowers that are very attractive to bees. Honey made from buckwheat pollen is strong and dark. Buckwheat is a hearty plant that can grow pretty much anywhere, even in harsh conditions. Unlike grains, buckwheat is typically grown without chemical fertilizers. And since it grows so fast, it usually doesn’t need pesticides either. However, what really makes buckwheat special is its nutrition. This humble seed is a good source of vegetable protein, vitamins, minerals, and one particularly important flavonoid called rutin. Rutin is one component of the complex chemical structure known as Vitamin C, but it is not found in ascorbic acid. Fruit (especially peels and rinds), rose hips, tea, onions, and many other plants contain rutin, but buckwheat is an exceptionally rich source. Rutin gives our body tissues strength and structure. This is of particular benefit for cardiovascular health where rutin makes for more resilient blood vessels, and prevents atherosclerosis (hardening of the arteries). This explains why in traditional herbal medicine buckwheat is used to treat varicose veins. One of rutin’s most astounding cardiovascular features is that it breaks up blood clots better than anything. In a study from Harvard Medical School in 2012, researchers tested 5,000 different compounds to see which one could best block the action of a protein responsible for blood clots. Rutin was the clear winner, outperforming any anti-clotting drug on the market or natural compound they tested. Considering that about half of all morbidity and mortality in the United States can be traced to clot-related episodes (such as heart attack, stroke, or pulmonary embolism), regular consumption of buckwheat and other rutin-rich foods could have potentially lifesaving implications. One of the characteristics that makes rutin so baffling to scientists is that it breaks up clots but doesn’t thin the blood. In fact, rutin actually prevents hemorrhages. In Chinese medicine, buckwheat is an important herb for treating diabetes. Modern buckwheat research lends supports to many of these traditional indications. For example, buckwheat has been shown to improve glucose metabolism and lower blood sugar. 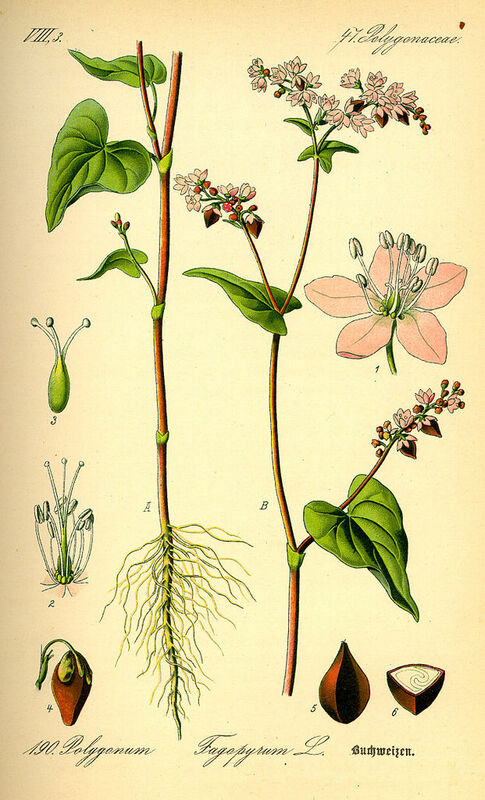 Ancient Chinese herbalists didn’t know about rutin, but they did use buckwheat for qi and blood stagnation, and recommended it for conditions such as poor circulation and varicose veins. Because of its knack for tissue repair, modern herbalists recommend buckwheat for cell damage due to radiation exposure. 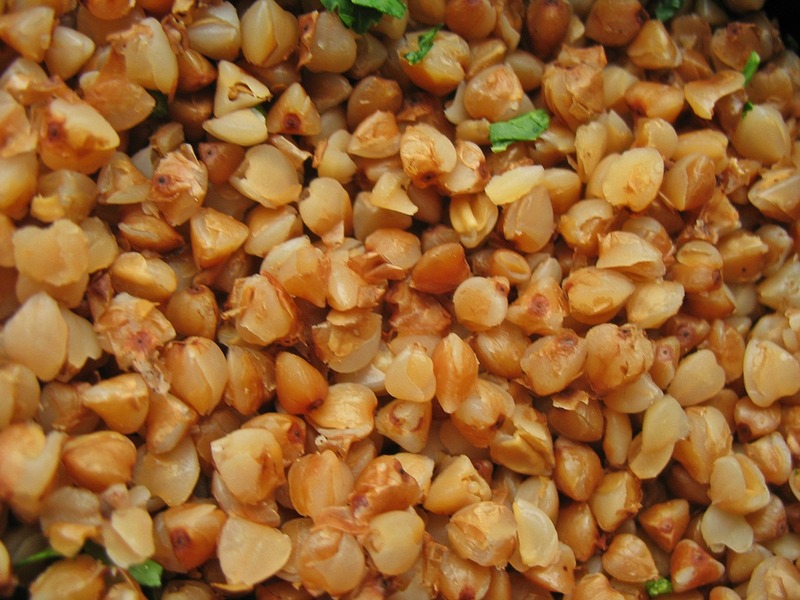 Freshly harvested buckwheat kernels are triangular with a light beige color, but in Eastern Europe they are traditionally roasted until brown to bring out more of their nutty flavor. You can dry roast seeds on low heat, or buy them pretoasted in a product called Kasha. For a starchy side dish, consider buckwheat instead of rice. It cooks tender with less water in about half the time. Buckwheat also has much more protein, and about twice the lysine, an essential amino acid found primarily in animal products. 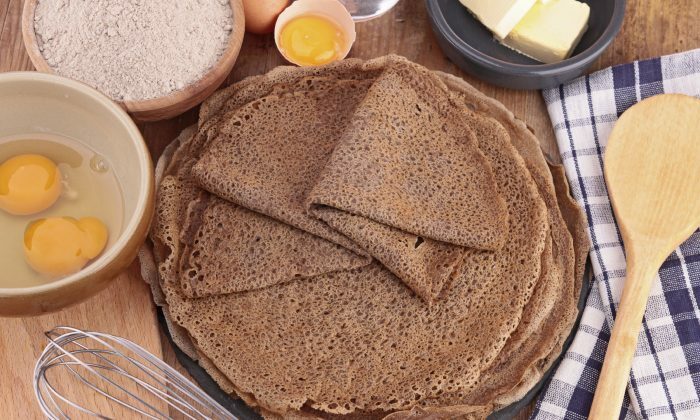 Buckwheat also makes a versatile flour that is famously used in crepes and pancakes. 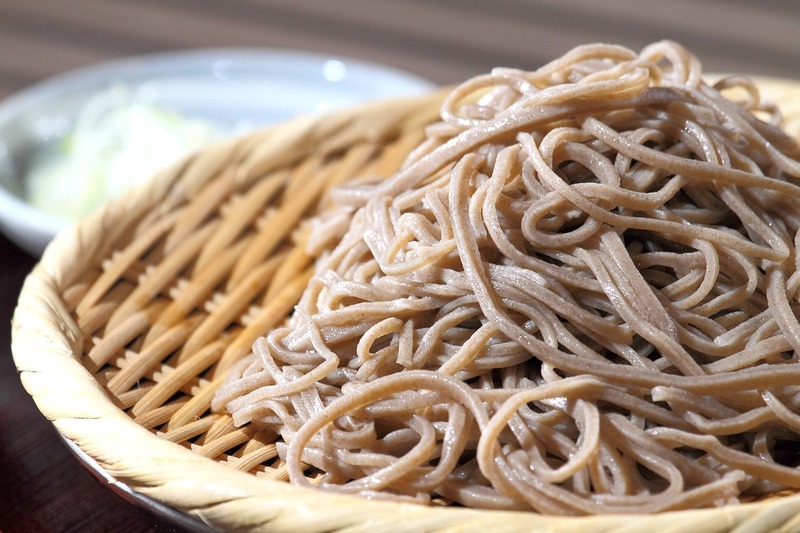 The Japanese are known for their buckwheat pasta called soba noodles. One special type of buckwheat from the Himalayas called Indian or Tartary buckwheat has distinct advantages over its common cousin. Tartary buckwheat has a bit of bitterness, but it contains significantly more rutin and is usually sold pre-roasted as a tea. Tartary tea is a popular healthful beverage in Japan, Korea, and China that is drunk for its circulatory and digestive benefits. Simply pour hot water over a spoonful of seeds and steep for five minutes. For those who wish to take back our health and save money on eating out, cooking from scratch is becoming more popular than ever.